Feel & Look Your Best! At The Aquarius Spa & Salon. Be beautiful at Aquarius Salon & Spa! Experience a place where the discovery of a beautiful friendship is as common as an incredible makeover. Aquarius delivers the best spa and salon experiences in South Carolina. Members of the Aquarius Spa and Salon team are trained to look for inner beauty as well as the outer. It is our mission to encourage and enhance all of the beauty God gave you. Let us nourish your soul with relaxation and rejuvenation. While your mind is enjoying a great visit with serenity, your face, hair and body will luxuriate in our beauty enhancing treatments. Treatments you will receive at Aquarius Spa and Salon have been developed using the highest quality products and innovative techniques. Aquarius Spa and Salon’s goal is to always help you relax, experience amazing and result-driven spa treatments in a beautiful environment. We are constantly researching the most advanced spa treatments, the latest hairstyles and the most innovative body care. We offer treatments containing the latest and the most effective ingredients in skin care science, as well as a wide range of holistic and organic skin and body care spa lines. 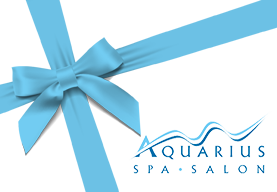 We invite you to experience Aquarius Spa and Salon! Is this your first visit to Aquarius? their favorite Spa in Chapin, South Carolina! Discover the latest effective spa treatments, products, promotions, wellness recipes & secrets to keep you looking beautiful &younger! Mon - 10:00 a.m. - 5:00 p.m.
Tue 9:00 a.m. - 8:00 p.m. Wed - 9:00 a.m. - 6:00 p.m.
Thur - 9:00 a.m.- 8:00 p.m.
Fri - 9:00 a.m. - 6:00 p.m. Sat - 9:00 a.m. - 4:30 p.m.